I watch them as plane goes over the sheets of different blue’s . I look at them from the corner of my right eye. I am not a criminal ; also, the guards carrying with them thick wooden stick for beating either ,I am just alone ,and an explorer at least I ceased to be. It was a fine morning when I suddenly decided to tighten my laces of branded shoes and to move out from a room that was closed from all the four sides. It was suffocating now because the window had the newspaper taped from start to end to stop the entrance of little mosquitoes that ;I slept and became the biggest intruders in my reality and world of dreams. The wall was red in colour,which sometimes was happening for having a pleasant background for pictures when more people were in but sometimes it reminded me of blood ,pain and grief I have had experienced in my coldest night of dreams. It was now rotting,the person inside a well fabricated body was rotting because of the four walls he was caged in. I had to tighten my shoe laces even more stronger. I left the place in afternoon carrying a side bag and a water bottle because the place I had thought of exploring were full of warm sun rays giving the idea of dryness it brought to my tongue that was left tasteless,because I hadn’t had anything since morning. I caught the nearest metro and escaped the eyes of people who tagged me as a foreigner just because I was fair in colour and being a non attention seeker I hated that. I knew they had been looking at my hair that was curly enough to shape my personality as one of the writer’s in town and as accidental it could be it was short too. I knew people in metro pointed at my get up that was just a jeans and a jacket that I had bought long back when I had been in my home town. They peered through every space they could get ,also from the shoulder’s which were taking the support of a pole in the centre. They thought that I was unaware of there starring but I was aware though I didn’t mimicked them . I kept longing for my station which would be my first place to travel alone and I was excited to know the fate it would bring me. I walked and stared at the narrow streets where till date at least one billion footsteps would have been marked by our master my being five ,let alone of my family.I stalked an old man’s wooden box covered with a very old white cloth so that the dust of the street would not enhance it’s degradation. I saw him counting something and my eye was directly on the different coins he had collected . They varied from era to era and recent . The one’s which had been expired as a result of new comers in the list. I just smiled and made my way. I was followed by numerous rickshaw walla’s who thought of robbing me of my wallet ,only be cause they thought I was a tourist and had come to India for vacations. Had they little known about my individuality they would have buried my body into a sac and God knows what more would have I suffered ,had they known I was a Kashmiri. But ,I thank God of my voice and language that I was saved. I went through lane by lane and entered into a monument which spoke to me. It spoke to me as I turned back to my life and I found hope. I found reasons to continue living and reasons to dream. This was a very strange thing but I could see faces of number of people who have entered in my life and exited . I had an experience of lifetime . I saw how world is filled with people of all types. I then recalled my suffocation in that four cornered room and thought of our master’s job which was to protect this balloon full of gas and I again praised him for I had a perfect life. While entering this place I met with a peculiar incident . As a mark of respect people from whichever place and status needed to take the shoe’s off so that the place remains cleaner then before. I did as I was ordered and suddenly a man with Kohl rinsed eyes and a Muslim scarf around his neck and a Muslim hat covering his hair and head approaches me with a smile and a Muslim way of greeting”salaam allaikum”. I said wallai kum salaam,and he asked for 300 rupees. I was taken aback because I remembered as a kid whenever I went with my family to this place we were never asked to pay a ticket money and also people around me went free of cost. It angered me and I said with a loud voice “kyun bhaya”(why brother?). To which he showed me a board on which the message was clear cut that only if I was a foreigner or outsider I had to pay them. I sighed and changed my language into my orginal and requested them to believe my individuality. They happened to accuse me after showing them the skills of my changed dialect ,to lesson the pressure I showed them my I-card and hence I was relieved. The question didn’t come up for paying the sum it was of division between black and white. If I had been born with a black colour would I have been given respect as same to the respect I got while being fair?I just thought and as innocent as I was the answer was “NO”. Living in the city where still history rules the present one cannot help but be surprised at the various step wells one finds in the centre. These step wells mark the prison of that time for any ruler who could go beyond the actions. These step wells now were homes and shelters of various pigeons who had flight but needed a voice to shed off the fear they had from the humans. 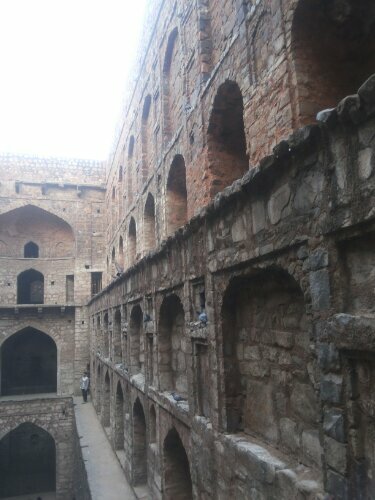 In the evening that day I went to such step-well “baoli” which to me was an inspiration. I could write about the well designed hand made walls and could write about the pigeons which went round and round the monument and left the audiences clapping. The sight was so mesmerising that one couldn’t help but start praising at the things he has bestowed us with. I chuckled within myself on a couple who made a romantic pose for a picture memory,had they known the sights the step-well had felt and witnessed they would have romanced in Switzerland rather in ruins which had been a jail for many like us. 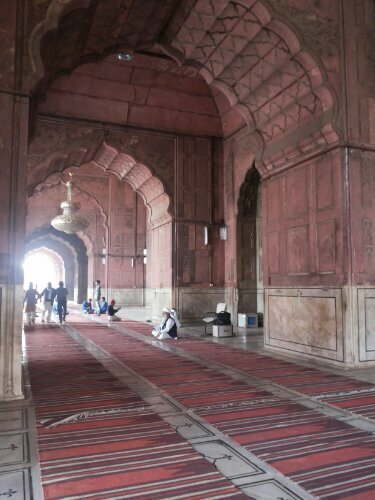 Being a Delhi wall-ah ,one needs to add up a spice in his journey to places his hand made map takes him.Because from a minaret to a bird everything inspires here and one forgets who came as a traveller and who went as an Inspired. 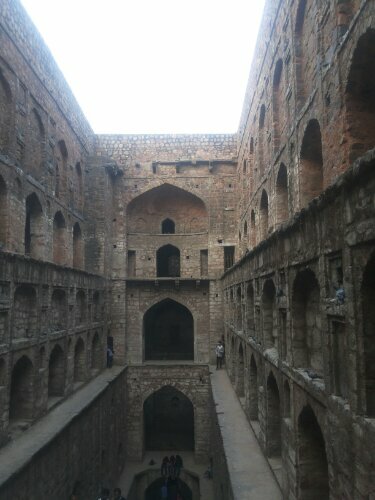 -Ugersen ki baoli ,Hailey road cp. Author Takbeer SalatiPosted on December 10, 2013 December 13, 2013 Categories a desire, arrival, beauty, creation, cries of heart, diurnal, DOGMA, dreams, emotions, eternity, first love, happiness, imagination, IRONY, journey, longing, love, love for God, materialistic, murder, out burstTags a 19 year old, experiences, explore, journey, lifetime, nice time, nothingnessLeave a comment on Get inspired!